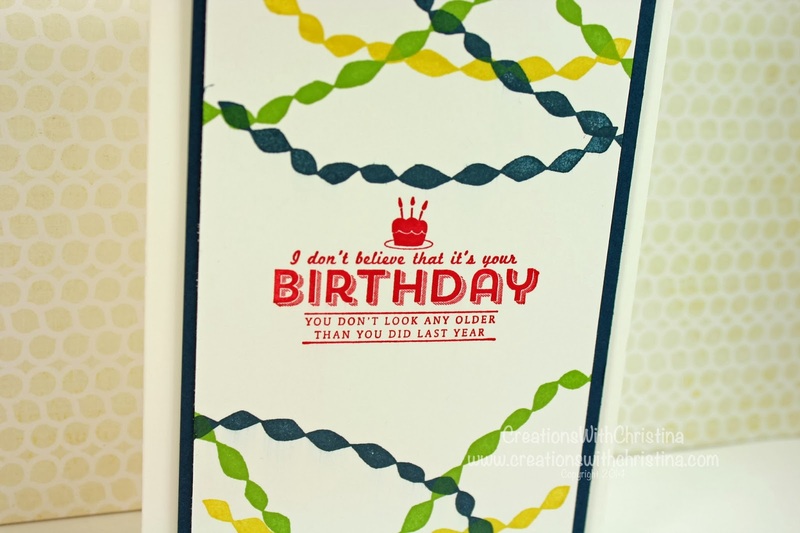 Today's Stampin' on Friday video is a super simple but fun stamped card. I used the See Ya Later stamp set that you can get for free when you order $50 worth of SU! products during Sale-A-Bration. Really cute card, and i love the streamers! I almost picked this stamp set, but decided on You're Lovely, instead. The choices were all really great in the sale. BethAnn M.